It was terrible, the realization, how you saw the people coming on foot from Utrecht. 14 May 1940. 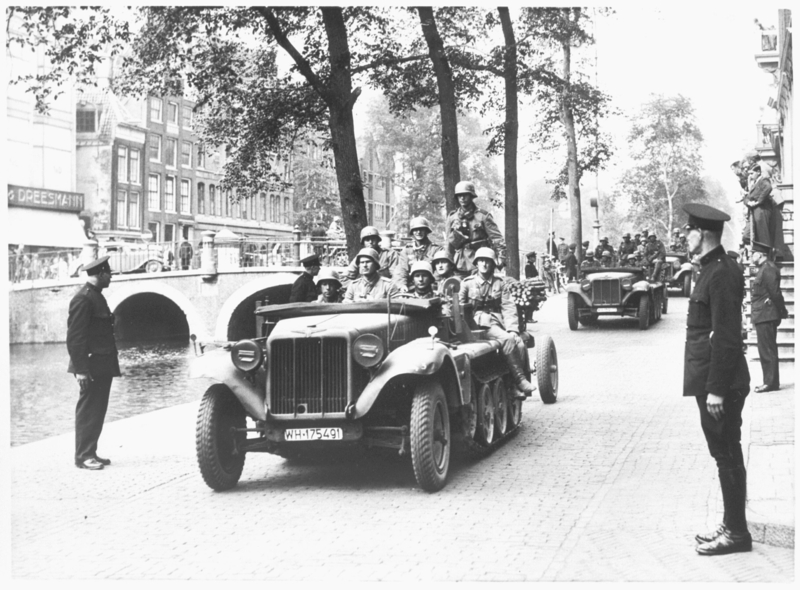 German troops controlled the Netherlands and German bombing had flattened Rotterdam. Meanwhile the Germans threatened Utrecht, which received quite a different bombing. 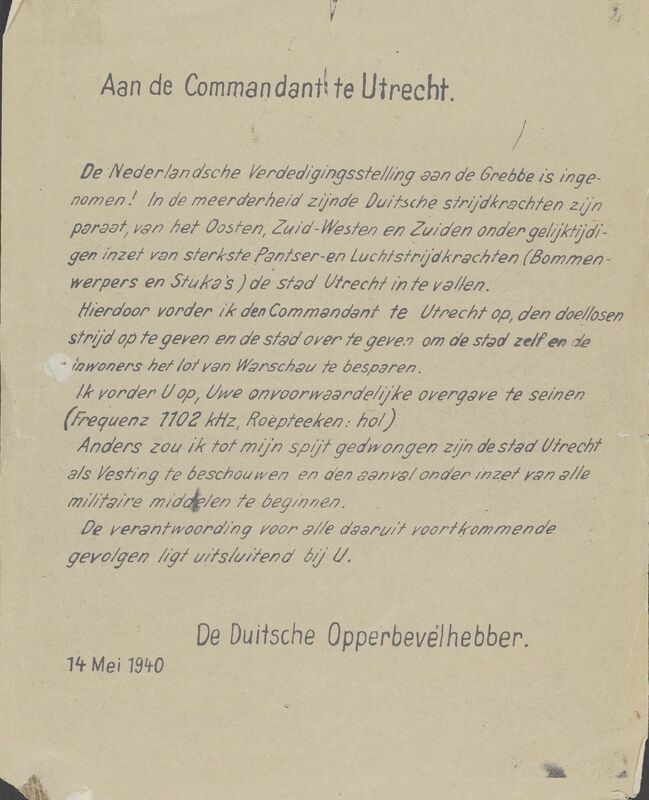 The Germans dropped handbills: “I hereby demand that the Commander of Utrecht give up the futile fight and to hand over the city in order to spare the city and its inhabitants the fate of Warsaw.” Signed: The German commander-in-chief. Many of Utrecht’s residents fled.